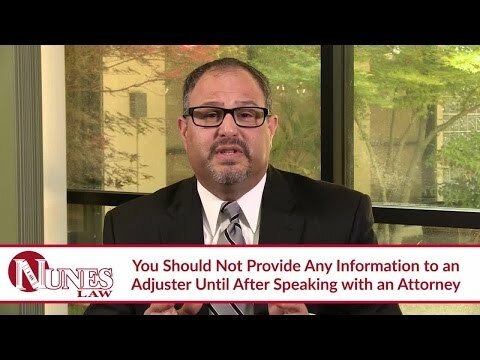 Listen as Frank Nunes explains why an insurance adjuster would be asking for your Social Security number, and what you should in response to such a request. If you have been involved in a motor vehicle accident, the adjuster from the other driver’s insurance company will ask for various pieces of information from you, and one of the most common items they request is your Social Security Number. They ask for this number for several reasons. The main reason they request your Social Security number is so they can look you up in their claims indexing system, which allows them to see if you have prior claims. They will then be able to see what claims were made, what money was paid out, and what parts of your body have previously been injured. A history of repeated claims can lessen the value of your claim for harms and losses from the perspective of the insurance company. Your Social Security number will also tell them if you are a Medicare or Medi-Cal patient. As this information they are requesting will affect how your claim is treated, you should contact an attorney when presented with these questions. Watch the video to learn more.